At age fifteen, Morrison dropped out of school to pursue a career in music. He learned to play the guitar, saxophone, and harmonica while playing with a series of local Irish bands before forming his own band - Them. Them quickly earned a devout following, in the process recording the UK Top Ten hit "Baby Please Don't Go" in 1965. Them's "Gloria" has and continues to be regarded as one of rock's classical hits. Morrison left Them in 1966. Van recorded probably most famous hit "Brown Eye Girl" from March 28th through 30th, 1967. The recordings took place in the A&R Recording Studios on 112 West 48th Street, New York. The resulting album, Blowin' Your Mind (released against Morrison's wishes), was considered a failure. Soon after, Morrison started working on a new album. 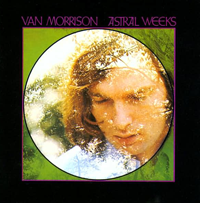 Morrison was now signed with the Warner Brothers and in 1968 he released arguably the best album of his career entitled Astral Weeks. Noted for its poetic complexity incorporating folk-styled jazz, Astral Weeks was a success on all levels except its commercial response. In contrast, Morrison's follow-up Moondance not only amplified the singer's popularity but finally received widespread public acclaim. From Moondance's release in 1970 onward, Morrison's records were said to project a more celebratory tone due to his marriage to Janet Planet and their relocation to California. Tupelo Honey was highlighted by the single "Wild Night" - most notable for its serene descriptions of married life. In 1972, Van Morrison formed the Caledonia Soul Orchestra. In 1973, however, Morrison disbanded the Orchestra, divorced his wife, and again returned to Ireland. Morrison temporarily withdrew from music. A Period of Transition was released in 1977 and Wavelength in 1978, He returned to touring for the first time in five years. 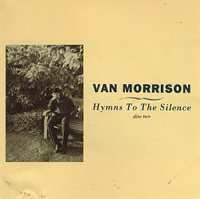 Throughout the eighties Morrison released of a number of LP's including Inarticulate Speech of the Heart (1983), A Sense of Wonder (1985), No Guru, No Method, No Teacher (1986), Irish Heartbeat (1988), Avalon Sunset (1989) and Best of Van Morrison (1990). Morrison's work through the eighties was noted for its uniformly spiritual substance. In contrast with the majority of his work in the eighties, the nineties output was excitingly eclectic. In 1990 Van Morrison released the critically acclaimed album Enlightenment which was followed by Hymns of Silence in 1991. Viewed as some of his best work in years, these releases helped Morrison win a new generation of fans. Morrison released Down the Road in 2002 and with Down the Road, Morrison was back to the higher echelons of UK charts reaching eleventh and sixth place respectively on the UK's top 40 list. Down the Road featured thirteen tracks including covers of two classics "Georgia On My Mind" and "Evening Shadows." Considered one of the most influential songwriters of our time, Van Morrison was inducted into the Songwriters Hall of Fame in New York in 2003. Van Morrison continues to write, produce, perform music and continues retain an extensive following.